Saudi Arabia is taking steps to give women more freedom as it seeks to overhaul its economy. King Salman has ordered a review of laws that still make it hard for many women to work, travel, undergo medical procedures and go to university without the permission of a male relative or spouse, human rights organizations said this week. The review could last three months. “The order, if adequately enforced, could end arbitrary guardian consent requirements imposed on women by government officials,” Human Rights Watch said Tuesday. The Saudi government has not yet published an official decree setting out in detail which laws could be eased, and there have been conflicting reports in Saudi media. That likely reflects the very sensitive nature of any such change. Deputy crown prince Mohammed Bin Salman is leading a bold plan to break the kingdom’s reliance on oil, which requires a transformation of the economy and Saudi society. Analysts say that the ruling royal family is likely to tread carefully to avoid a backlash from conservative religious authorities who, for decades, have exercised enormous influence in the home of Islam’s holiest sites. Despite the uncertainty, the review has been welcomed by some in the kingdom. “It will allow for greater mobility inside and outside the country, which allows for more efficient economic activity and happiness,” said John Sfakianakis, director of economic research at the Gulf Research Center in Riyadh. In the year since Bin Salman unveiled Vision 2030, Saudi Arabia has made progress on stabilizing the economy. It has cut government subsidies, announced new taxes and borrowed billions to balance its books. Higher oil prices have helped. There are also signs of progress towards increasing the participation of women in the workforce — a key Vision 2030 goal — particularly in finance and technology. In February, three top jobs in finance, including the head of the stock exchange, were filled by women. Citigroup has just appointed a woman to head the bank’s operations in the kingdom. Still, women are far more likely to be unemployed than men, making up 63% of people out of work and looking for a job, according to Mazen Al Sudairi, head of research at Al Rajhi Capital. The official unemployment rate is 11.6%. 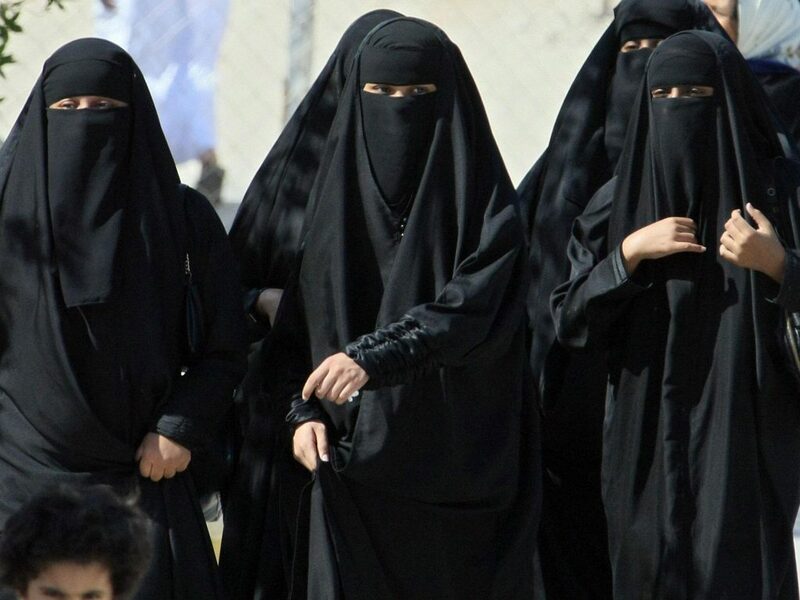 Restrictions on women are already being relaxed in Saudi Arabia’s major cities. At a business conference in Riyadh earlier this month, men and women were allowed to sit together. That is still a rare sight in a country where gender segregation is imposed in many public places. The religious police, who enforce Islamic law, are still present but have a less prominent role. A year ago, they were stripped of their power to arrest and can now only report people to the state police. Women can sometimes be seen with their hair showing but are still expected to wear an abaya, a long robe-like dress, and a headscarf. Laws preventing women getting a job or some healthcare services without male permission are already being less rigorously applied, according to a member of the Shura Council, which advises the King on legislation. Saudi Arabia is going through a transitional phase that requires a change in thinking, she added. “This is a new modernity in Saudi Arabia and it is specific to Saudi Arabia with its identity and religion,” Al-Helaissi said. However, the review does not appear to address one of the most contentious issues: women driving. There’s no law that specifically bars women from driving, but religious edicts are often interpreted to mean it is illegal for females to do so. Still, some Saudi political analysts say the driving ban’s days are numbered.